ETHIOPIA’S Prime Minister Abiy Ahmed has been described as a reformist, credited with turning around the political, business and diplomatic climate in less than 12 months since he took office in April last year. 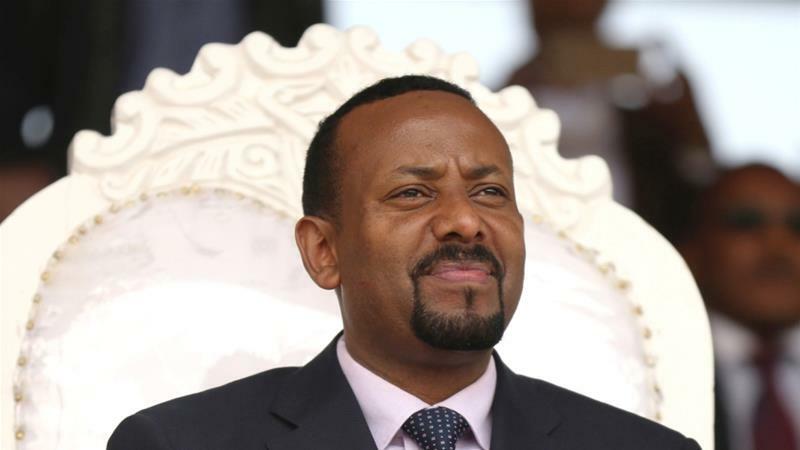 Abiy’s decision to pursue reconciliation with Ethiopia’s neighbour Eritrea, has paid dividends, triggering a wave of diplomatic breakthroughs in the Horn of Africa. The peace deal has also had positive effects in the political and economic spheres, as rebel groups that sought refuge in Eritrea return home, and trade is boosted by the new possibilities of access to the sea via Asmara. While Ethiopia has been the fastest growing economy in Africa for the past decade, the landlocked country of 100 million people is heavily dependent on imports. At the time Abiy took office, analysts said the country’s foreign currency reserves had been reduced to less than one month’s worth of imports, partly because of high expenditure on big infrastructure projects. Having warned that the currency crisis might last for 15 or 20 years because of government’s plans to continue expanding its infrastructure and the nascent manufacturing sector, Abiy has embarked on a process of liberalising the economy to attract foreign direct investment. In July last year, Abiy called upon all hoarding hard currency to deposit it in banks, warning that those who refused to heed the call would be tracked down. A diaspora fund was also opened to ask Ethiopians living abroad to contribute towards easing the foreign currency crisis. In February, Ethiopia’s finance ministry announced that government will give priority to the partial privatisation of Ethio Telecom as it takes the best approach to the process of liberalising the economy. By selling stakes in state-owned companies including Ethiopian Airlines, Ethio Telecom, Ethiopian Shipping & Logistics Services Enterprise, and Ethiopian Electric Power, Abiy’s Abiy’s government hopes to attract foreign investment and stimulate economic development. government hopes to attract foreign investment and stimulate economic development. Working to offset the limitations of being a landlocked nation, Abiy’s government has secured port deals with all its neighbours which have access to the sea (Kenya, Sudan, Eritrea and Djibouti). Ethiopia to jointly develop facilities at the Port of Djibouti in exchange for stakes in in state-owned Ethiopian firms. Ethiopia to set up a logistics facility at Kenya’s Lamu port. Ethiopia to have a stake in Port Sudan. Ethiopia to acquire a 19 percent stake in the Port of Berbera in the breakaway Somali region of Somaliland. Ethiopia now has access to Eritrean ports since the July 2018 peace deal was signed. Djibouti handles roughly 95 percent of all inbound trade for landlocked Ethiopia. Under Abiy, Ethiopia has also embarked on a ‘Doing Business Initiative’, that is aimed at creating a conducive environment for businesses to start up and to also have access to finance.